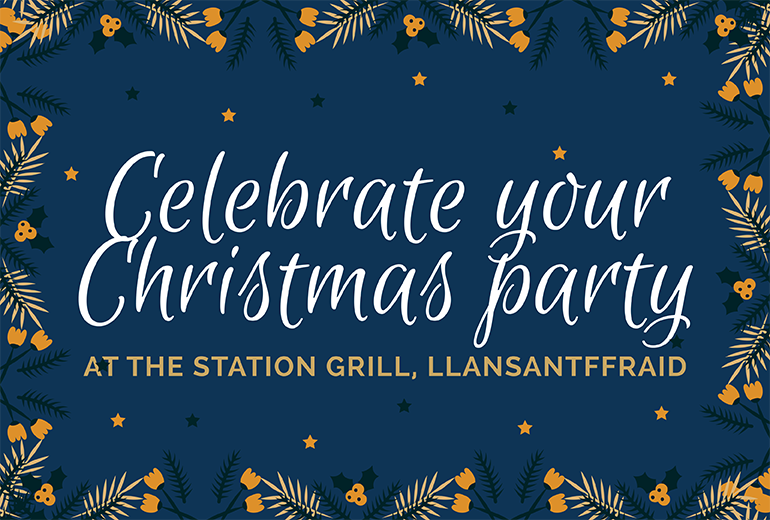 Celebrate your Christmas party this year at The Station Grill, Llansantffraid. We are now taking bookings for Christmas parties. The Station Grill restaurant is the perfect venue to celebrate Christmas with family, friends or work colleagues. Pre-ordering on all dishes is required. 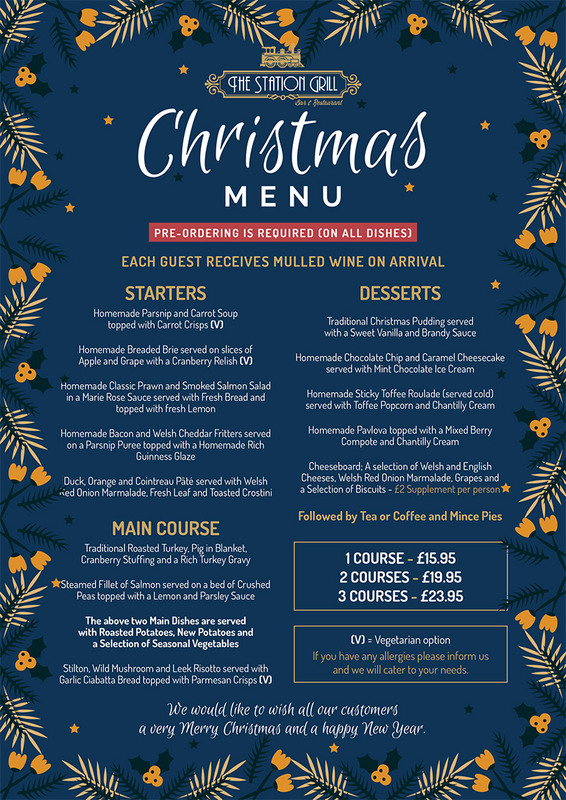 See below our exclusive Christmas party 2018 menu. If you would like to book a table, please contact us on 01691 828478 or book a table online (booking is essential).